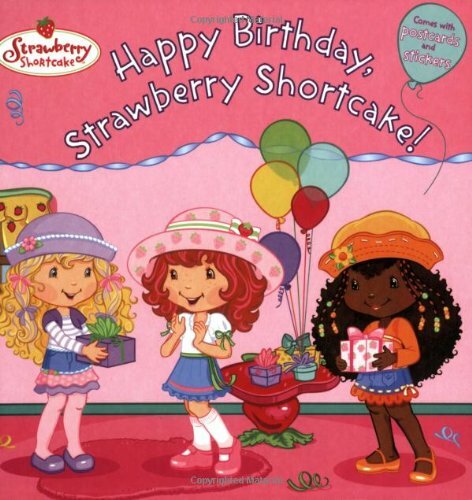 Home > Books > Happy Birthday, Strawberry Shortcake! Happy Birthday, Strawberry Shortcake! is for Ages 4-8. Happy Birthday, Strawberry Shortcake! was written by Molly Kempf. Happy Birthday, Strawberry Shortcake! was published by Grosset & Dunlap. 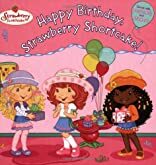 Subjects of Happy Birthday, Strawberry Shortcake! include Birthday parties, Celebrations - Parties, Children's Books/Ages 4-8 Fiction, Children's Books/All Ages, Children: Grades 1-2, Fiction, Holidays & Celebrations - Birthdays, Juvenile Fiction, Juvenile Fiction / Social Issues / Friendship, Juvenile Fiction / Social Situations / Friendship, Social Issues - Friendship, Social Issues - General, and Strawberry Shortcake (Fictitious character).